What would “Call Me by Your Name” have looked like had Arnold Schwarzenegger and Danny DeVito starred in the roles of Oliver and Elio? Funny or Die made a mashup — titled “Call Me by Your Twins” — of the 1988 comedy film “Twins” starring DeVito and Schwarzenegger with the Oscar-nominated film “Call Me by Your Name.” And it’s amazing. Michael Stuhlbarg’s beautiful monologue and conversation with Elio (played by Timothee Chalamet in the actual film) made it into the mashup, as did the famous peach and the dancing scene that went viral last year. Overall, the editing between the two films is fantastic. “Call Me by Your Name” was directed by Luca Guadagnino based on the book of the same name by Andre Aciman. It starred Chalamet, Armie Hammer, Stuhlbarg and Amira Casar. It was nominated for four Academy Awards this year, and won for Best Adapted Screenplay. 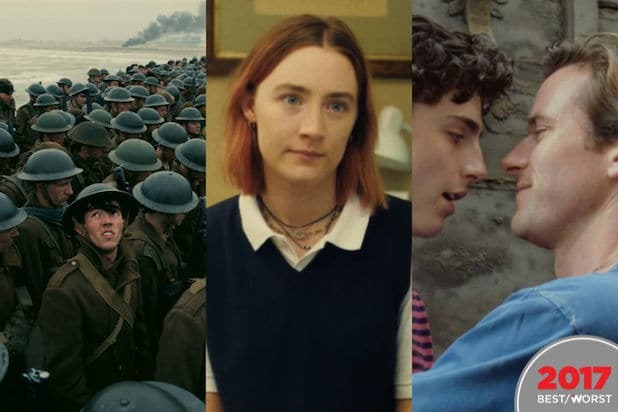 Other awards taken home by the film include the AFI Award for Movie of the Year, the BAFTA Award for Best Adapted Screenplay and Best Male Lead at the Independent Spirit Awards.